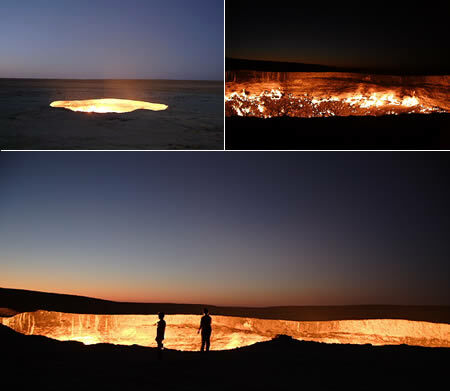 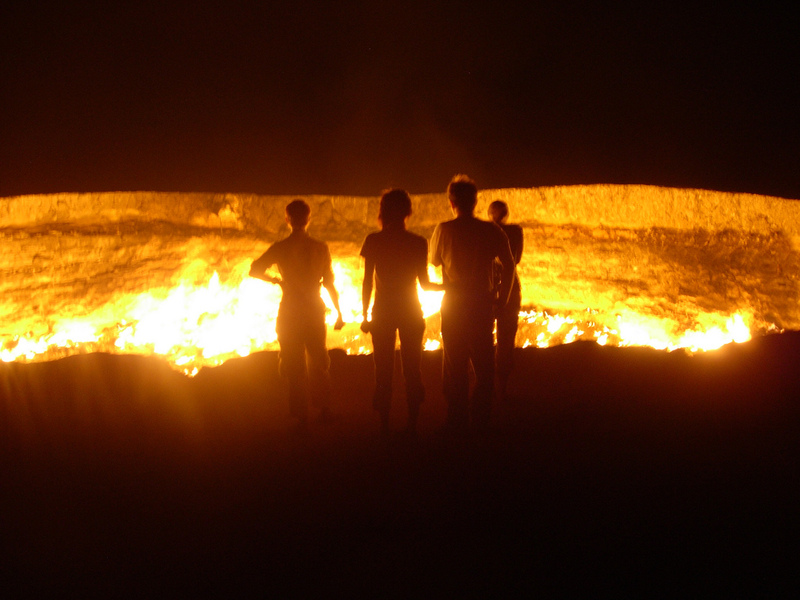 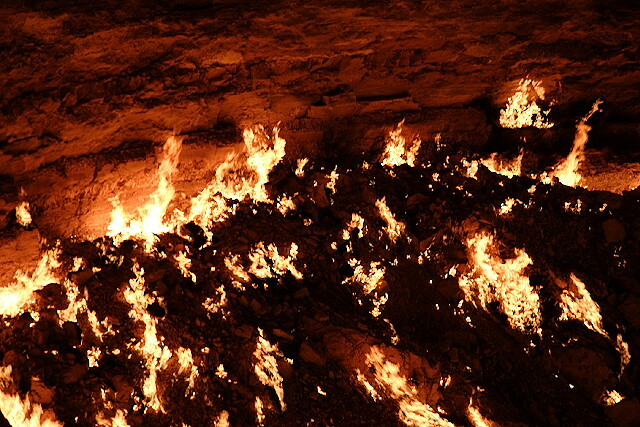 Known by locals as the door to hell, this place is located near a small town in Uzbekistan Darvas. 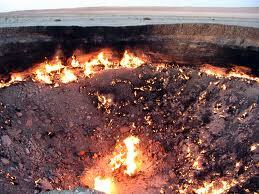 When geologists gas drilling 35 years ago, suddenly they find an underground cave is very large. 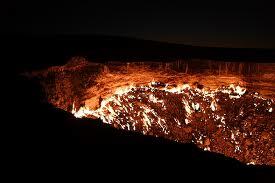 The entire drilling site with all the camping gear and plunged into the underground.